is perfect for young people who don’t quite fit into mainstream school and who would thrive in an environment such as ours. Currently we are providing a 16-hour week which is broken down into 4 daily sessions of 4 hours. Each session is made up of a 2 hour training session towards BHS qualifications and then 2 hours work experience where each participant will gain relevant skills and experience from working in a farm type environment and riding school. The course that we are working towards is designed for beginners so it is not important for the young person to have any experience working with horses, dogs or the outdoors, they simply have to show a desire to be in this environment. 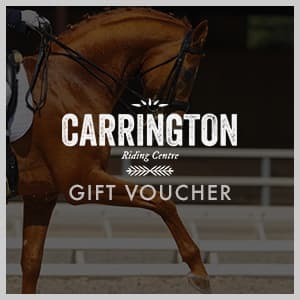 It is also not necessary for the young person to learn to ride a horse although this is certainly an option and in our experience, a big attraction for being on this course. We are also offering a ‘DOG’ course for young people who love being around dogs. On this course, we will be providing instruction in dog grooming, dog walking and doggy care. These projects can be made as flexible as possible to suit an individuals’ needs, and can adapt the sessions accordingly. We would however recommend that weekly attendance is necessary to ensure good progression and continuity of learning. Each day will include dance, drama and classroom based activities. The course is designed for beginners so it is not important for the young person to have any experience in dance or performing arts, they simply have to show a desire to be in this environment. It is also not necessary for the young person to learn to dance although this is certainly in our experience, a big attraction for being on this course. These projects can be made as flexible as possible to suit an individuals’ needs, and we can adapt the sessions accordingly. We would however recommend that weekly attendance is necessary to ensure good progression and continuity of learning. We understand that schools are already under financial pressure so we intend to keep the costs to a minimum in the hope that it will be affordable. The minimum cost per 4-hour session would be £35. This would include 4 hours of tuition, and hire of essential equipment. The minimum cost per 4-hour for a One to Two session would be £50 + VAT. This would include 4 hours of tuition and hire of safety hat in a group of up to 2. The minimum cost per 4-hour for a One to One session would be £100 + VAT. This would include 4 hours of tuition and hire of safety hat. We can be flexible on times and days between 10am-2pm, Monday –Friday. We passionately believe that horses have a remarkable role to play in the help available to young people when more traditional methods have failed them. The equestrian environment provides a powerful way of inspiring young people to connect, improve well-being and become productive members of society. With our 531 British Horse Society Approved Riding Centres in the UK, supported by more than 20,000 BHS Instructors, we intend to bring this formidable infrastructure to the forefront of helping young people connect into society through education and employment. Changing Lives through Horses is a new educational programme which will be shaped over time to provide a wholly sustainable intervention which will change the lives of those it reaches. The programme will be aimed at young people in secondary school education who would be more suited to an alternative provision to mainstream school. We envisage over time the programme will be expanded to support a wider disengaged community.